Since the dawn of the millennium, no football team has enjoyed greater success than the New England Patriots, with 12 straight winning seasons, 10 playoff appearances, 5 Super Bowl trips, and 3 championship titles. Under coach Bill Belichick, the Patriots and quarterback Tom Brady have been a dominant force on the gridiron, a veritable dynasty in an era of NFL parity. But the history of this team, beginning long before the arrival of Belichick and Brady, includes more than 50 years of memorable games, all-star characters, and plenty of winning and losing moments. 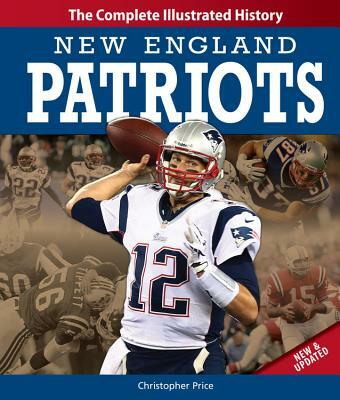 Revised and updated to include the most recent NFL seasons, New England Patriots: The Complete Illustrated History immerses fans in the history of this beloved franchise through fascinating stories and hundreds of images. Award-winning sportswriter Christopher Price explores every era of Patriots football and introduces—or reintroduces—readers to all the team’s legendary players: from Gino Cappelletti and Babe Parelli in the early years to John Hannah and Mike Haynes in the 1970s; the surprise Super Bowl squad of Steve Grogan, Stanley Morgan, and Andre Tippett; the 1990s resurgence under coach Bill Parcells with Pro Bowlers Bruce Armstrong and Ben Coates; and up through the recent heroes like Wes Welker, Troy Brown, Mike Vrabel, Tedy Bruschi, Ty Law, and Brady. Featuring tons of glorious photos of these and many other Patriot icons, images of memorabilia spanning the team’s entire history, and an appendix of individual stats and team records, New England Patriots: The Complete Illustrated History is the ultimate celebration of an incomparable football franchise.